We are a Multi-City Film Festival with semi-final screenings in New York, Atlanta, San Antonio and Los Angeles and Festival Finals taking place in the the City of Coachella. SUBMISSIONS OPEN FEBRUARY 9th 2019. 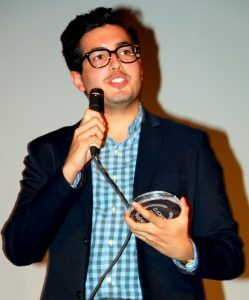 The 5th Annual Official Latino Short Film Festival will take place again in the city of Coachella, California during Hispanic Heritage Month. This year dates are October 11-15, 2019. 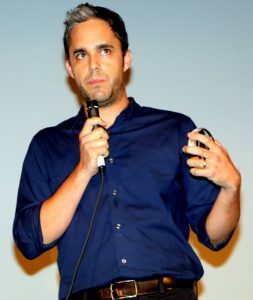 Filmmaker Danny Hastings www.dannyhastings.com created the Festival in 2015 in response to the lack of Latino representation in Hollywood films and TV shows. 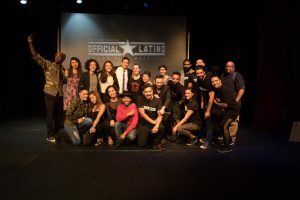 Our mission is to showcase, nurture, and support the emerging creative Latino and Latina filmmaker that produces, directs or writes their films and videos in the United States. We also support films and filmmakers that showcase our true American Diversity in their films, so we accept Non-Latino Films that showcase Diversity – Black, White, Asian, Gay, All – You are all invited to submit. Read below for more details. This year we are going to highlight our Native Indigenous Spirit, by showcasing films about Natives from this continent. Read below for more details. Official Latino Film and Arts Festival is a different type of Film Festival. We showcase Semi-final films in 4 different markets before we go to the finals in Coachella. We will have Semi-Final screening in New York, Atlanta, San Antonio and Los Angeles. Our Finals and Gala Event will take place in Coachella, California. This year’s theme is “Stereotypes End Here”. For many years Latinx Filmmakers and Filmmakers of Color have been writing, directing, producing short films here in the U.S.A., and for whatever reason we still struggle to get any type of proper representation. Our actors usually get the one or two lines and most of them just get the supporting roles to the supporting actors in a film. We wait no longer for “the powers that be” to tell our stories. We want to see the Female Hero, The Latina Doctor, The Latino Family Man, African American Excellence, Native American Stories. We are tired of Stereotypes, it’s 2019 are we are not having that non-sense any longer. We want to see films that change the narrative. At the Official Latino Film and Arts Festival we focus on inclusivity and diversity, we bring that awareness as we celebrate Hispanic Heritage Month with our brothers and sisters of cinema from all different backgrounds. Another big important detail is that we take films that have been produced from January 1, 2017 to July 2019. So if you have a film that started collecting dust, for a year or two, send it our way, it might have a chance to still get in. 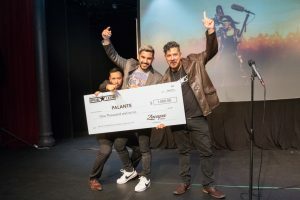 All films created in the United States written, directed OR produce by a Latina or Latino including Latino Cast member or members should submit to the following categories: U.S. DRAMA, U.S. COMEDY, U.S. DOCUMENTARY, U.S. EXCEPTIONAL ARTISTRY (Animation/Stop Motion/Experimental), U.S. MUSIC VIDEO, U.S. WEBISODE, U.S. SKETCH COMEDY, U.S. VIDEO BLOG AND U.S. OUT OF THIS WORLD AWARD (Horros and SCI-FI). All of these films will compete for the GRAND PRIZE of $ 2,000.00 for Best Official Latino Short Film. All Films produced outside of the United States can only submit for the “CORTOMETRAJE INTERNACIONAL” Category. Non-Latino films should submit for the “AMERICAN DIVERSITY” category. These films must be created in the United States and should be written, directed or produced by filmmakers of any race, ethnicity, sexual orientation, gender identification, people over 40 and/or individuals with disabilities and should reflect a cast from a diverse background. Films showcasing Native and Indigenous Content from North, Central and South America, including the Caribbean should submit under the Our Native Spirit category. These films could be Documentaries, Narratives, Drama, Comedy, Music Videos and/or Experimental Videos. The short films submitted should be recorded and edited on 1080 HD format. The length of the films should be no shorter than 3 minutes and no longer than 30 minutes. Short films must have been produced between January 1, 2017 and July 4, 2019. If you’ve previously submitted a short film to our festival, you can submit it again this year. 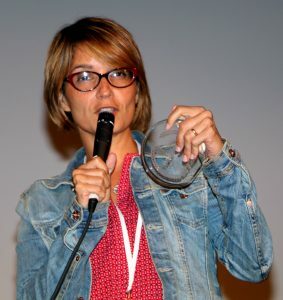 Filmmakers can submit multiple entries throughout the Festival’s various categories. 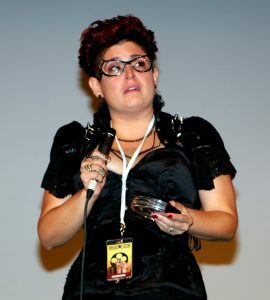 Previous winners of the Official Latino Short Film Festival cannot re-submit the same ‘winning’ films, but can submit new work. We are only accepting online submissions trough FilmFreeway. WE WILL NOT ACCEPT DVD’s so please do not send them as they will NOT BE VIEWED. Submitting your short films does not guarantee screening or acceptance. A notification of acceptance will be sent by written email from the Official Latino Office. Submission fee is non-refundable. U.S. filmmakers must be 14 and older. All U.S. filmmakers under the age of 18 must include the contact information for a parent/guardian. 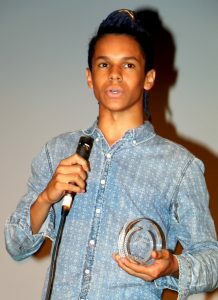 Filmmakers outside of the U.S. submitting short films for the International category must be 18 and older.